Fast forward to 2013. After multiple updates, feature additions, and interface changes, the service has become infinitely better (timeline, gifts, read-receipts, chat-heads, cover photo, etc). But, network fatigue is a core issue, e.g. seeing posts from a cousin of a friend of a friend who I met at a summer camp that I haven’t seen since. You can unsubscribe and mute certain activity from your feed, but this drives me (and my peers) towards other services. 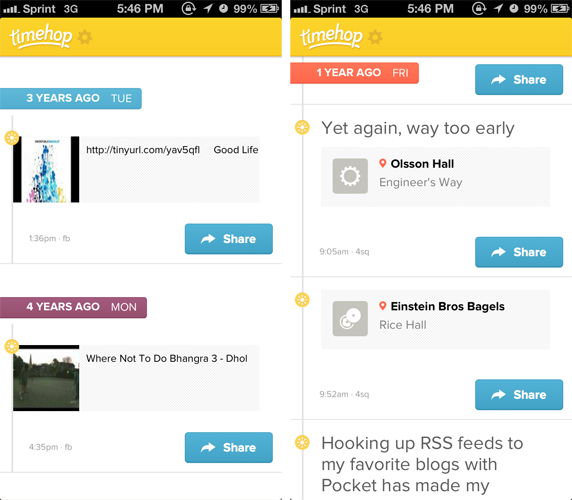 A vehicle for discovering posts on services that I use in addition to Facebook is an app called Timehop. When it comes to the places you’ve been, Foursquare still does it best. I joined the service in Summer 2012 and have since checked in over 2,500 times2. There is a certain feeling attached to eating at a restaurant where your friend has been that no Yelp review could ever replace. Also, there are two features that are hard to live without: tips and lists. The Foursquare community fosters leaving tips at venues. If you don’t know what to order, a reliable approach is to check the tips and see what other users enjoy (even Steve Wozniak leaves tips). Lists, on the other hand,help users share their local favorites or even tell you which coffee shops have power and wifi. Instagram wins me over with its simplicity and attention to detail. One of the smartest design decisions is the absence of albums. This forces users to really think about which photos capture moments they care about, creating a feed where liking 10+ photos feels natural. Also, with its photo maps3, I occasionally find myself scrolling over Miami to relive precious moments such as Ultra 2013. 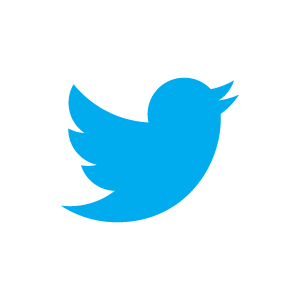 Twitter’s big three: thoughts, conversations, and real-time. People often have the intention of starting a blog or journal, but it never comes to fruition. Tweets serve as a nice intermediary. By putting thoughts and experiences out there, you’re essentially creating a git commit log for your life. Conversations are also extremely rich on Twitter. Since users are on the same playing field, it’s easy for things like athletes reaching out to fans, musicians running Q&A’s, and airlines addressing customer issues to happen organically. On the other hand, it’s been noted that this open sandbox nature of the service leads to a confusing new user experience. While this may be true, the openness leads to awesome accounts like @MagicRecs, @YourAwayMessage, and @EmergencyKittens. Lastly, and most notably, there are certain moments that just happen first on Twitter. Some examples from my graph include a hacker defacing our University’s homepage, getting on stage with our favorite DJ, and presenting my final intern project. VC firms aren’t making a mistake when they invest in the future of messaging. Over the past year, I’ve noticed my friends and I staying in touch through the use of group threads (iMessage for those w/ iOS and FB Messenger for groups with a mix of mobile operating systems). In fact, I use these apps so frequently that receiving an SMS almost feels archaic. Features like read receipts, quick file sharing, and quite frankly, stickers make group threads way more efficient and entertaining. Next, I want to make a quick note on the effect Snapchat has caused on my generation. 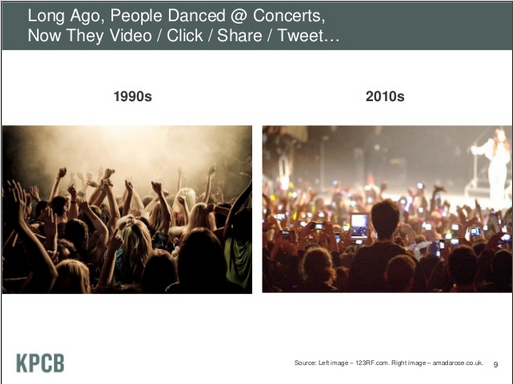 Sitting in on a talk with Mary Meeker this past summer, while she gave a recap of her 2013 Internet Trends report, I couldn’t help but pause on the following slide. Snapchat has essentially reduced the amount of time we spend trying to capture a moment, so we can start enjoying them again. This post isn’t meant to serve as my departure from Facebook. I’ll still have an an account for some time since Facebook events, messaging, and groups are still leaders in the space. However, much like your hometown, you eventually want to explore more cities. For sharing moments, segmented networks in tandem are better than centralization.